Is there an ideological sea change occurring at the International Monetary Fund when it comes to redistribution, inequality, and economic growth? #1 The Rich-Drive-The-Economy Myth: Taxing the rich to give to the poor hurts the economy because it stifles economic growth. #2 The Austerity-Is-Needed-To-Return-Growth Myth: In today’s economic climate, growth requires cutting government spending, even to education, healthcare, and other social services. And, finally, this ‘nugget’ of received wisdom…. #3 The Inequality-Is-Benign Myth: The growth of extreme economic inequality around the world today is tolerable because more people are escaping poverty than ever before. These myths undergird the austerity programs many countries turned toward to address the fallout of the economic crisis. Together, they rationalize: raising taxes on poor and middle class people; giving tax breaks and subsidies to the wealthy; and slashing social spending to reduce deficits – all in an attempt to get growth moving. 1) Lower economic inequality drives faster and more durable growth. 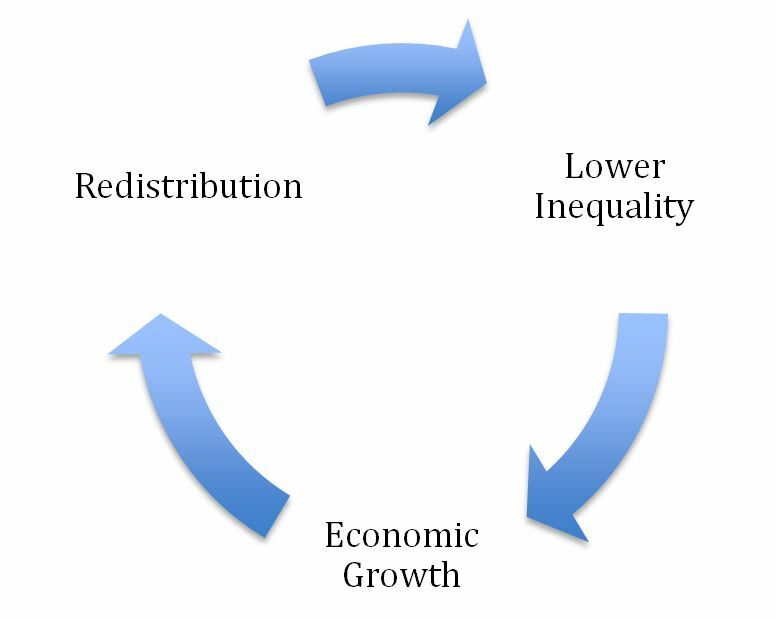 2) The effects of redistribution, on average, are actually pro-growth. In fact, the authors find that redistribution only hurts growth in extreme cases. What can governments and world leaders draw from this report? First, lowering extreme inequality is sound economic policy. As the author’s argued in an earlier IMF working paper on inequality, extreme inequality stunts long-term growth spells. So, if countries are serious about expanding growth, they must become serious about reducing extreme inequality. Second, redistributing wealth through taxation does not harm growth. In fact, it’s good for growth because it reduces inequality, which, as their first argument suggests, has a pro-growth effect. Therefore, from the IMF’s analysis, we can propose a sort of virtuous circle among wealth redistribution, lower inequality, and longer economic growth episodes. Today’s report builds on other papers released by the IMF recently, suggesting there’s an ideological sea change occurring at the Fund concerning the linkages among redistribution, inequality, and growth. For instance, late last year the research department of the IMF released a working paper demonstrating that ‘fiscal consolidation’ (a fancy word for austerity) increases inequality in both the short and medium term. If it sounds like I have a crush on the IMF’s Managing Director, Christine Lagarde, today, it’s because she can’t get enough of Oxfam’s recent inequality research. In multiple forums, Lagard has invoked Oxfam’s finding that the richest 85 people in the world hold the same wealth as the bottom half of humanity, and that nearly half the world’s wealth is owned by only 1%. There are more than 85 people in the richest 1%, so if 1 is true, then 2 goes without saying, and it would be “more than” not “nearly”. But you meant to say something more powerful than that… what is it about the 1%? You’re confusing population with world wealth. The top 85 richest have the same amount of wealth as the bottom half of the HUMAN POPULATION (which is NOT equal to half the wealth in the world). Remember, the bottom half of the world’s population own significantly LESS than half the world’s wealth. To give an illustration, the bottom 68% of people on the planet only own about 3% of the world’s wealth. The top 1% own nearly half the world’s wealth. 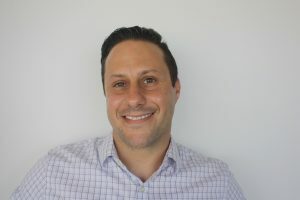 Pingback: Resolved: Minimum wage laws benefit the United States economy. World leaders find a consensus on inequality, but what’s the plan? 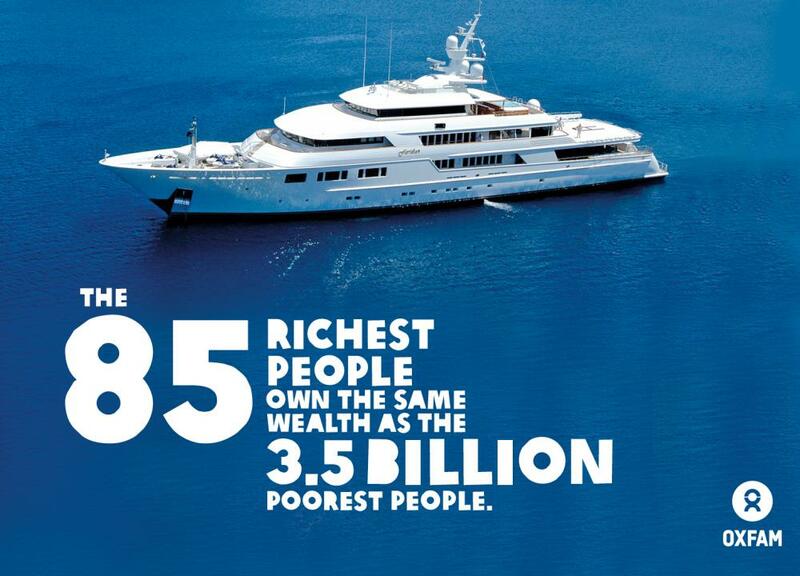 Oxfam shows the richest 85 people own as much wealth as the poorest 3.5 billion.